The French Eric Abel and Christian Manez (CST official crew – Xtreme Plus) have tested the Polaris RZR XP Turbo S on the Moroccan dunes of Merzouga. 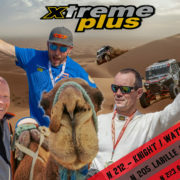 Merzouga (Morocco) – A few days before the start of the Rallye du Maroc (3-9 October), the penultimate stage of the 2018 FIA World Cup for Cross-Country Rallies, Xtreme Plus Team has reached the oasis of Merzouga, in the Moroccan Sahara at the border with Algeria, to carry out the last test at the Polaris RZR in view of the next major motoring events that will see it at the start of Morocco, Baja Portalegre (Portugal) and Dakar. A session of technical tests to verify the performance and reliability of the SSV of the American brand built in the French ateliers of Gorrevod, near Mâcon, by the experts mechanicals of Xtreme Plus. 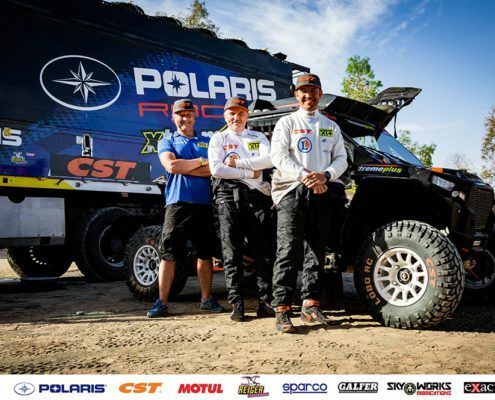 The Factory Team of Marco Piana, driver and team manager, is among the only one ever to be recognized and supported by Polaris USA and Europe for the professionalism and quality in the preparation of the RZR for the Cross Country Rally. 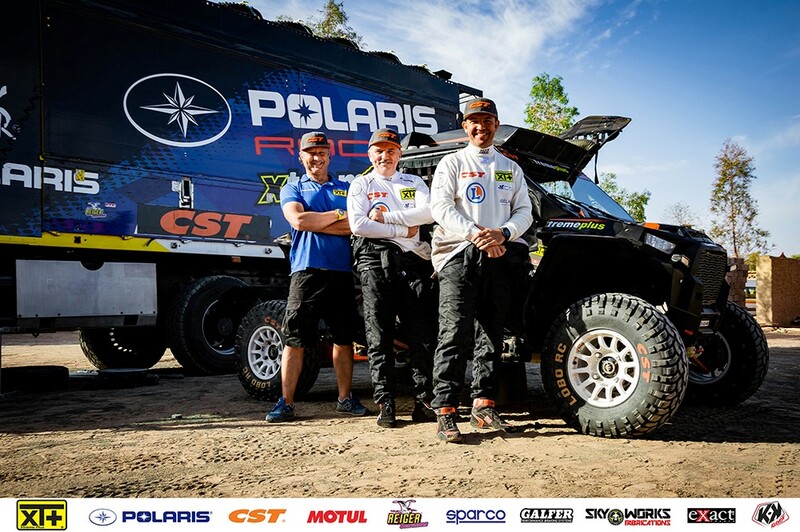 Test fully exceeded therefore for the RZR Turbo S. “It is a pleasure to have Eric and Christian among the ranks of Xtreme Plus as official CST crew: despite not being a professional, Eric has great experience with rallies and SSV – comments team manager Marco Piana – We are proud that he has chosen us as assistance for the Dakar and we will do our best to reach the final goal. During the 4-day test session on the dunes of Merzouga he acquired great dexterity at the wheel of this Polaris, proving to be very fast “. Merzouga dunes were also perfect testing ground for three of the crews who will be at the start of the Rallye du Maroc in the next few days. 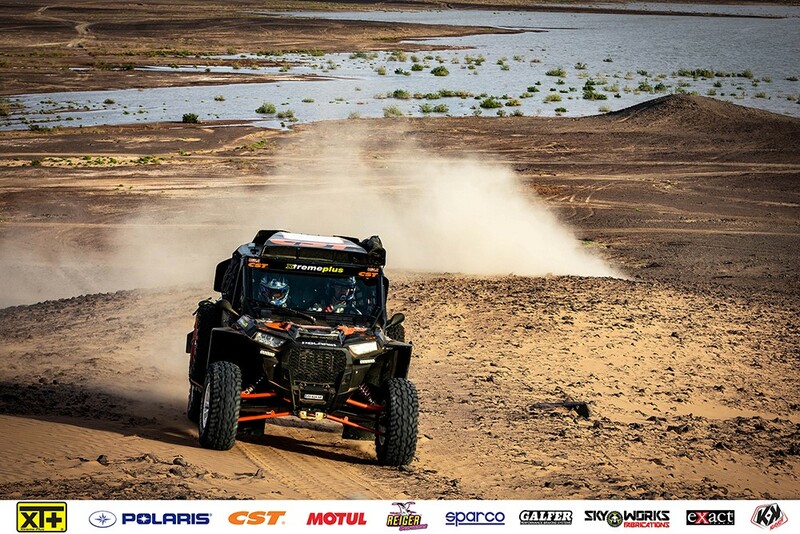 The Mexican Santiago Creel Garza Rios, sailed by the Polish Szymon Gospodarczyk, brought the Polaris Turbo (which will be at the start in the SSV category) on the sand of the Moroccan desert to fine-tune the latest improvements to the vehicle and become familiar with it. 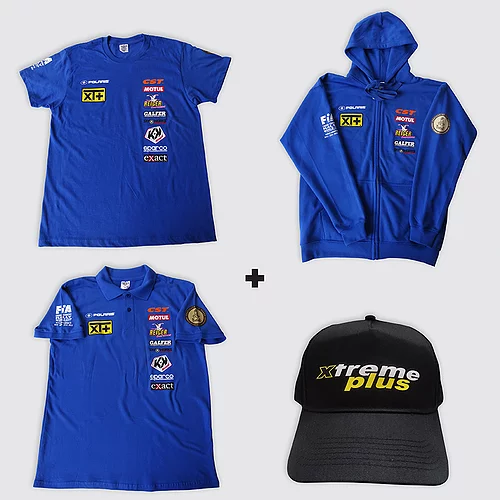 Current leaders of T3 in the World Cup with 208 points in the overall ranking, the Spaniards José Luis Peña Campos and Rafael Tornabell Cordoba have joined Xtreme Plus Team during this test before siding with the starting line of the penultimate stage of the 2018 FIA World Cup for Cross-Country Rallies in Morocco. Although this year’s winner of the Abu Dhabi Desert Challenge, Peña Campos wanted to gain even more experience in the sand guide by testing the performance of the RZR 1000. The British Graham Knight and David Watson joined the pre Rallye du Maroc tests, again on the Polaris RZR 1000 T3. After winning the Dubai International Baja 2018, pilot and co-pilot will be at the start of this new rally-raid signed by David Castera. The Xtreme Plus rally-raid in Morocco will be completed by the Swiss-French crew Vincent Gonzalez and Stephane Duple, also on RZR 1000 (T3). Marco Piana, pilot and team manager of XT +, sailed by the English Steven Griener on Toyota Land Cruiser, will be able to provide fast assistance on the track.